Select Size 68" 70" 72" 74" 76" 78" 80" 82"
Medium strength waterproof and breathable 600D polyester outer, with shine enhancing polyester lining.Cut to our classic original design, with double front closures, front leg arches and cross surcingles as standard. 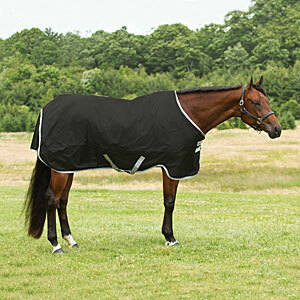 Designed to suit the shape of the ranch or stock horse. Cut in 2" increments. D-rings for attachment of optional leg straps.